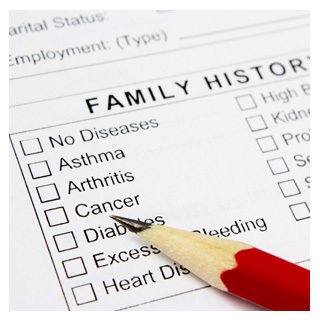 New Patients are required to bring completed forms to their appointment. Copies of insurance cards and photo ID will be taken. Medicare qualified patients must also complete a Private Contract and Financial Policy as directed by Medicare and agree NOT submit any claims for services. Medicare patients can sometimes receive some reimbursement from Medicare secondary payors (depending on individual contracts), by filing a claim with the Medicare contractor for "denial purposes only." Once Medicare denies the claim (because Dr. Hohenwarter has opted out), it can be sent on to the Medicare secondary payor. Some Medicare contractors will automatically forward the claim, and some will not. If they do not forward the claim, then the patient can forward the denial letter from Medicare with the claim form. You should complete the Patient cover letter to send with the 1490S, so the Medicare contractor will know that Dr. Hohenwarter has opt?d out of Medicare and that you are requesting a Denial of the claim to get reimbursement from your secondary insurance. The 1490S claim form is the form that patients have used to file their own claims to Medicare "for denial purposes only." Patient's Request for Medical Payment. This form is from the Medicare website and patients can send this form to Medicare, in order to get a denial of their claim, which can in turn be sent to their secondary insurance for possible payment. Most secondary carriers want to see a denial from the primary before they will process a claim. Since the provider cannot file the claim, the patient may use this form to obtain the denial. Patients visit our functional medicine doctor from York, Annville, Chambersburg, Elizabethtown, Hummelstown, Reading, Harrisburg, Hershey, Lancaster and Palmyra, PA.